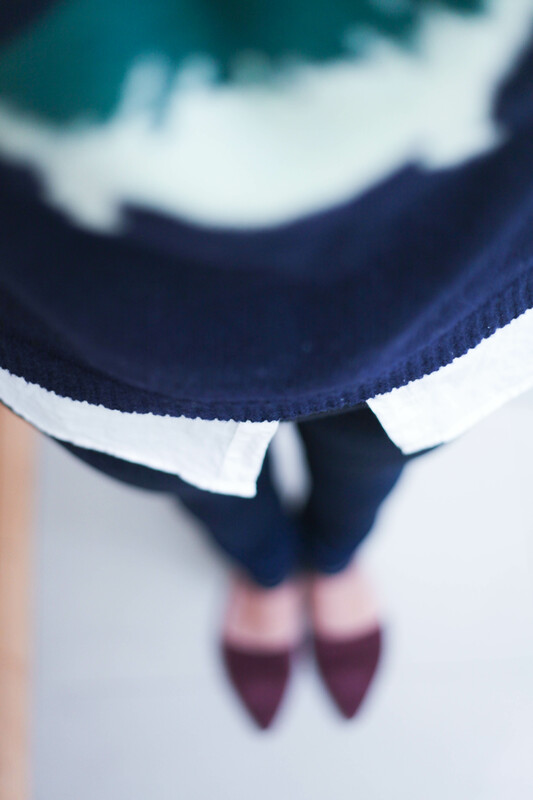 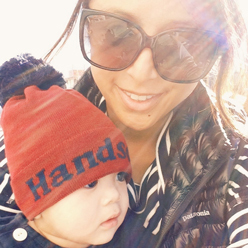 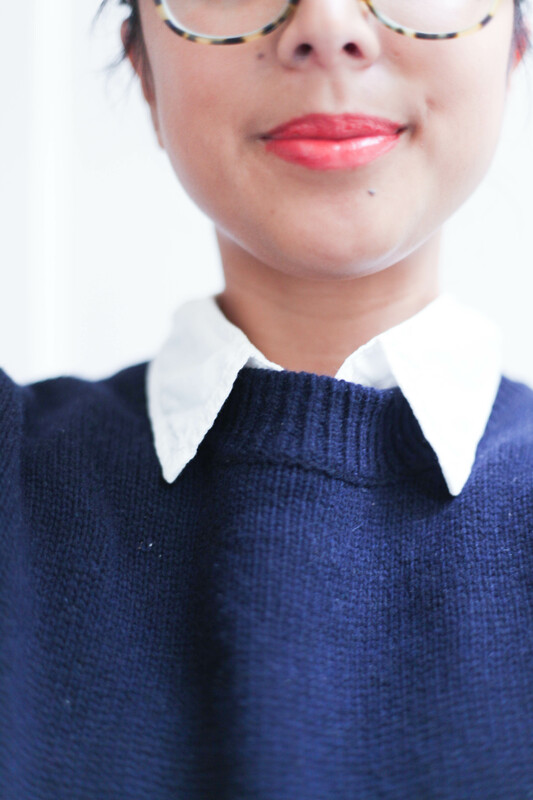 This week’s mom and baby style post is an ode to prep, in two parts. 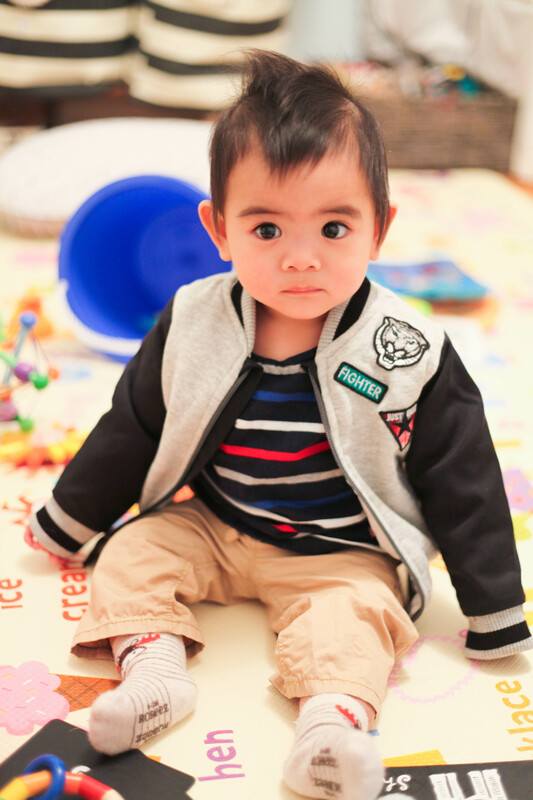 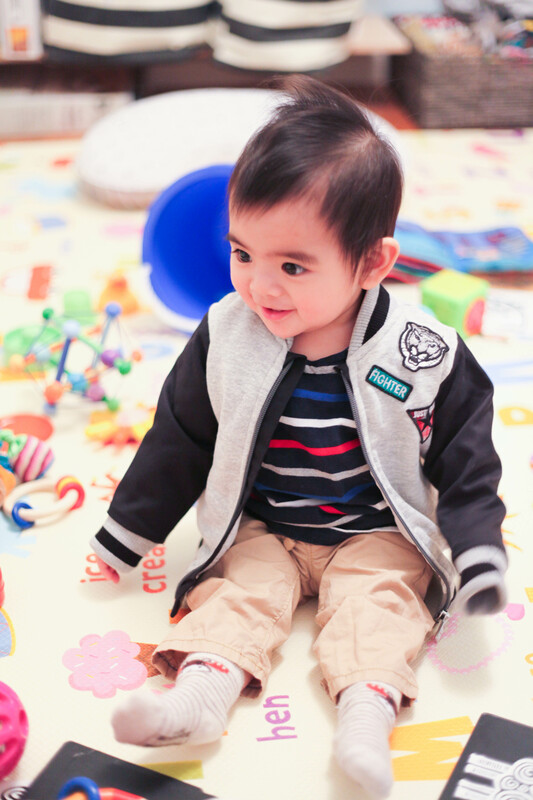 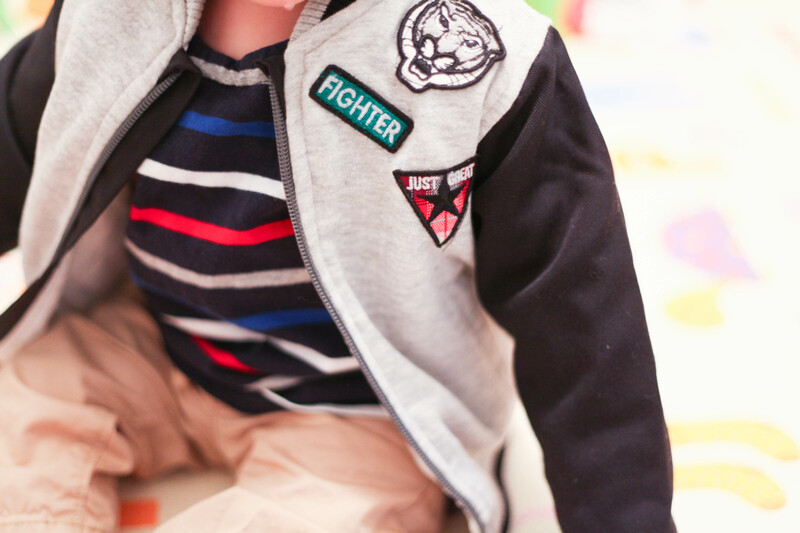 Part one is all about the little dude, T. Varsity jackets have been a trend darling as of late, so when I spied this adorable patch version on super-sale at Zara Kids, I was hooked. 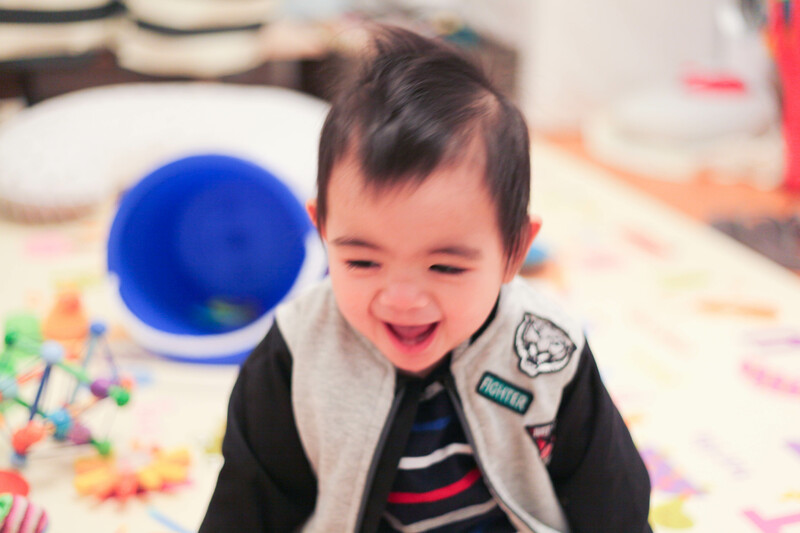 And thanks to the impressve mountain of dirty baby laundry, I mashed up the last random bits of T’s clean clothes and got to top off his prep school style outfit with this rad jacket! 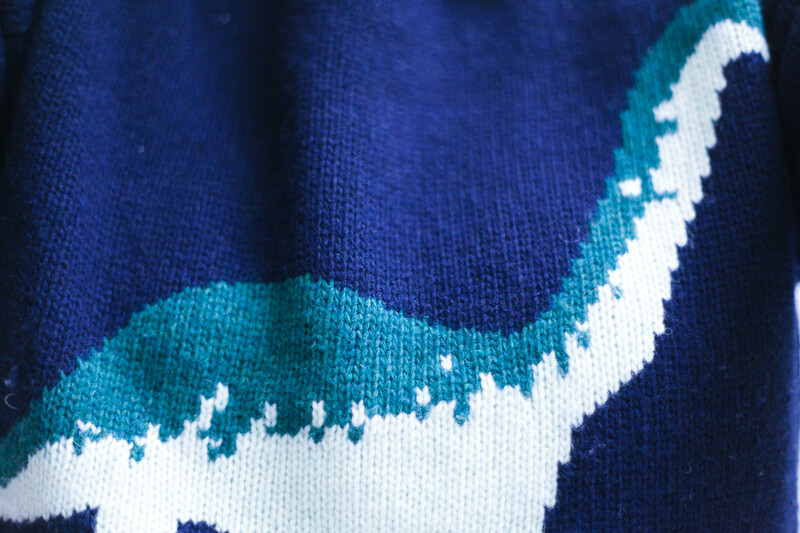 Ode to Prep part two is my everyday mom ensemble, with a funny brontosaurus intarsia sweater by Peter Jensen as the star. 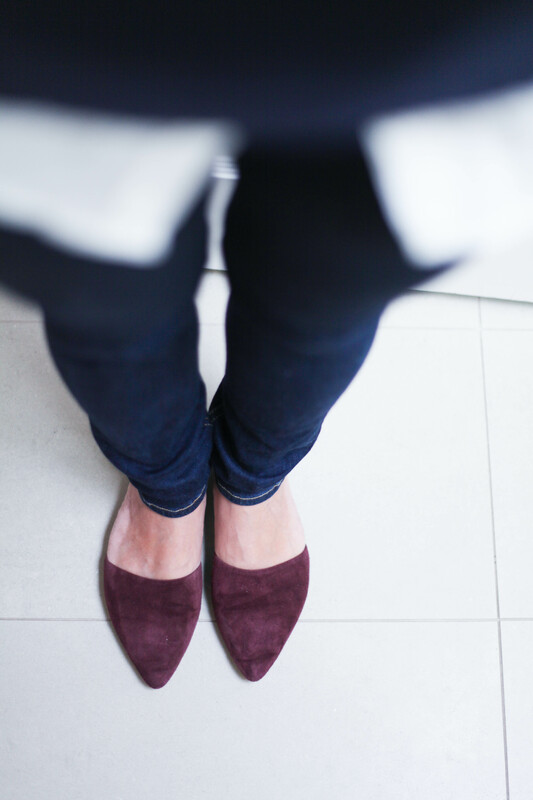 Ditching the Nikes and opting for a pointy-toe two-piece flat adds some spice to my everyday mom style staples—skinny jeans and an easy boyfriend-fit cotton shirt. 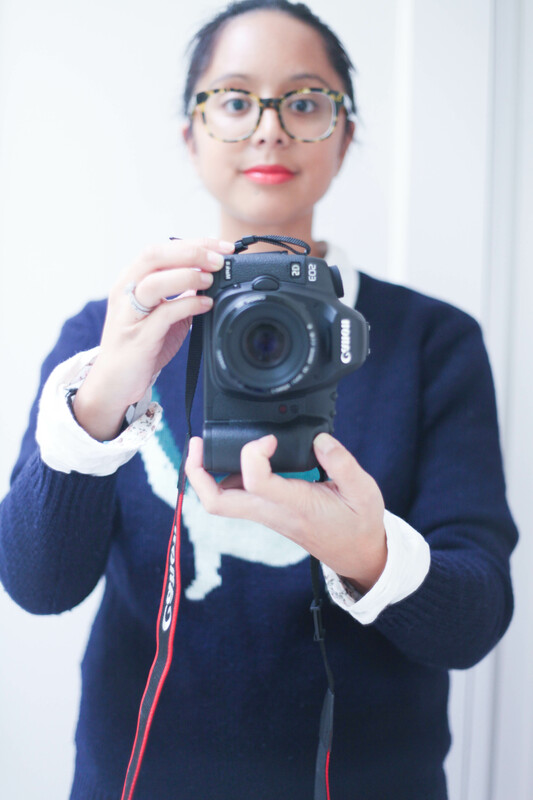 With a finishing touch of my new red-orange lipstick, I was feeling good and ready for the day’s many adventures with the little man. 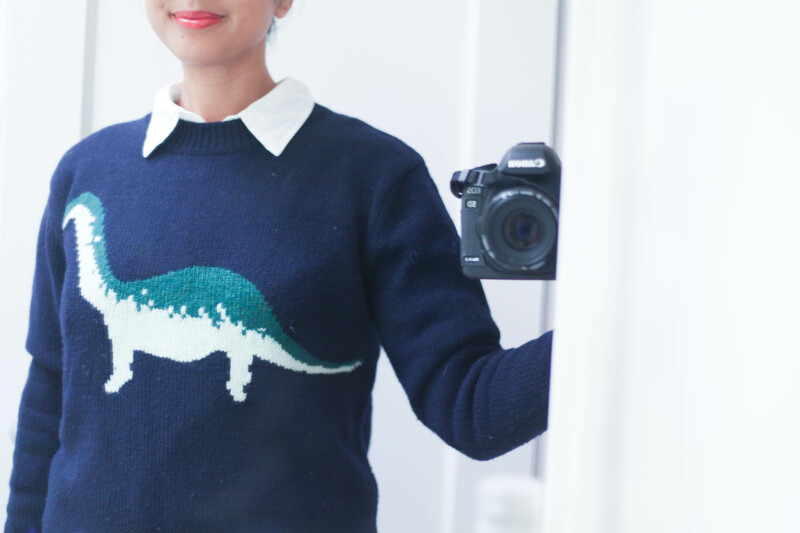 What’s your favorite mom-style outfit this week?